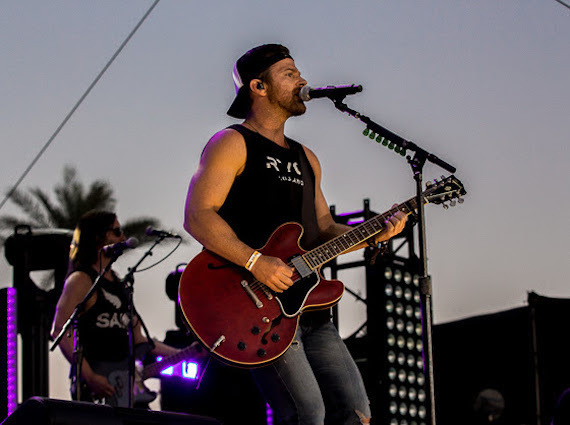 Kip Moore is getting back into the touring groove following trips to Costa Rica, Iceland, Australia and more, announcing that he will return to the U.K this fall for a stint of headlining shows. Moore has invited Drake White and The Big Fire out on the tour, which will stop in Birmingham, UK (Oct. 2), Manchester, UK (Oct. 3), Glasgow, UK (Oct. 4) and will culminate in a show on Oct. 6 as part of Country Music Week in London at O2 Shepherd’s Bush Empire. Country Music Week is a brand new week-long series of shows, created by the organizers of the Country To Country music festival. Moore first connected with fans during his debut performance as part of the festival two years ago. Moore will also return to Ireland later this summer for Harvest 2017, stopping in Westport, IE (Aug. 26) and Enniskillen, IE (Aug. 27). Tickets go on sale on Friday, May 19 at 9 a.m. GMT at gigsandtours.com. Moore is promoting his current radio single, “More Girls Like You,” from his upcoming third album.